It was shortsighted of me to post a picture from perhaps 4000ft above Seattle through the badly scratched window panes of an Airbus on an approach from the north to SeaTac. I had a helicopter tour booked! 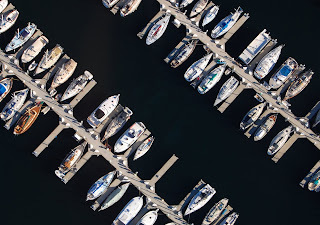 Here is Shilshole Bay Marina from around 900ft.